For many people games and activities are, well, a spectator’s sport. The manic pursuit of a ball, whether small or large, orange or white, is something to be done comfortably in front of the television. Golf on the other hand is something entirely different. For a growing number of Americans, golf is a hands-on pleasure. It brings with it a unique form of fulfillment that isn’t easily explained to the non-player. For many, that enjoyment goes one step further with membership in a golf club. Even for those who already take pleasure in the game, golf club membership can bring new heights of enjoyment. First, there are the people. Golf club members come there by choice and generally for the same reasons: The quality of play, the opportunity to up their game and especially the chance to mingle with those who share a common interest. 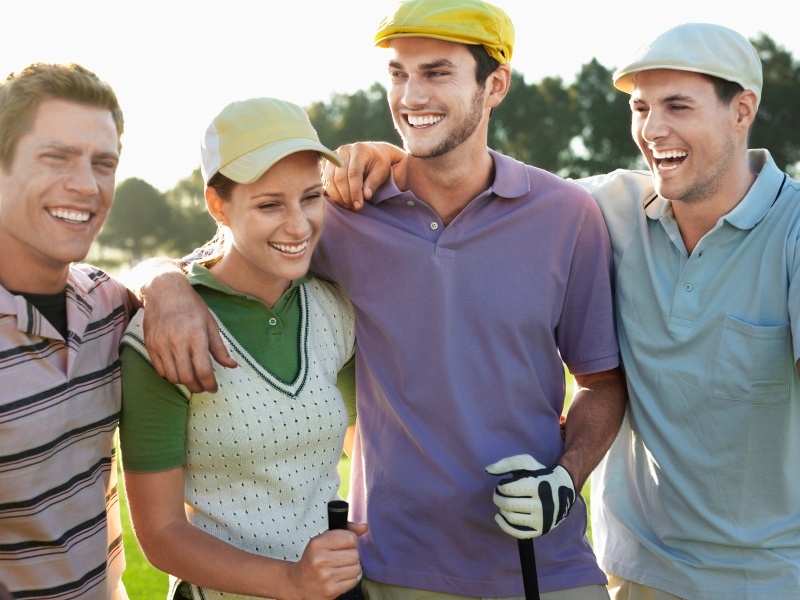 There’s a special enjoyment that comes with sharing one’s pastime with other devotees, people who speak the same language and know how to appreciate a well-played round. Many golfers have experienced the frustration that comes with an over-crowded course, the sense of being pressed from behind while simultaneously wanting to press ahead, to play through without undue pauses in the game. In a golf club play is measured and paced. One is less likely to run into the kind of logjam experienced elsewhere. All this extra elbow room contributes considerably to the enjoyment of the game, giving players a chance to stretch out and really relax through their 18 holes. It takes practice to get really good at this game, the swing repeated until honed to a fine edge. But it takes guidance too, and that’s something a golf club can provide, with one or more professionals on hand to give oversight and help to correct the small deficiencies that hinder an otherwise skillful player. This expertise can make a big difference for a player who has reached a certain level of ability. As is the case in many sports, often a golfer will rise to the level of those around him. Players are at their best when pushed to perform. A golf club frequently will attract those who are playing at a higher level, whose abilities in turn may help to bring others up into a higher range of play. One of the great enjoyments that comes with golf club play is the feeling that one is getting steadily better, thanks to the caliber of player sharing the links. What makes golf club play more enjoyable? For most members it is a combination of all these factors, combined with the atmosphere itself, the special sense of belonging that comes with club membership. This isn’t just a game to be played at a golf club, it’s an experience to be savored.